WordPress is by far one of the most preferred CMS platforms on the web. 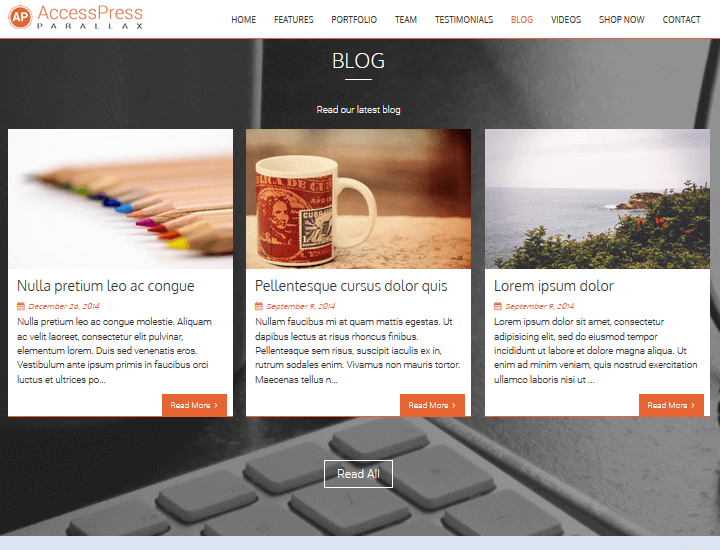 And, with that popularity comes a plethora of WordPress specific themes designed to complement sites powered by WordPress. 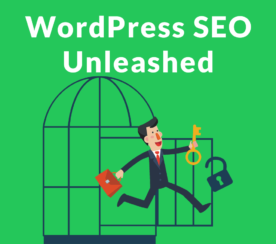 Unfortunately, while there is no limit to the number of ways you can design your website using WordPress themes, the sheer volume of available themes, both free and premium, can become plain overwhelming to even think about. Before we get started I think it is important to note that it is near impossible to whittle this list down to the best of the best without someone, somewhere, saying that a particular theme was missed. I get it, there are tons of great WordPress themes out there. That’s why, to appease all types of website owners, from bloggers to retailers, creatives to minimalists, I tried to grab some of the top WordPress themes from a variety of categories. So take it easy on me will you?! With that in mind, let’s take a look at some of the highest quality WordPress themes available on the market today that are sure to blow your mind. Clean, modern, flexible, and popular. That’s how to describe the number one selling theme of all time. 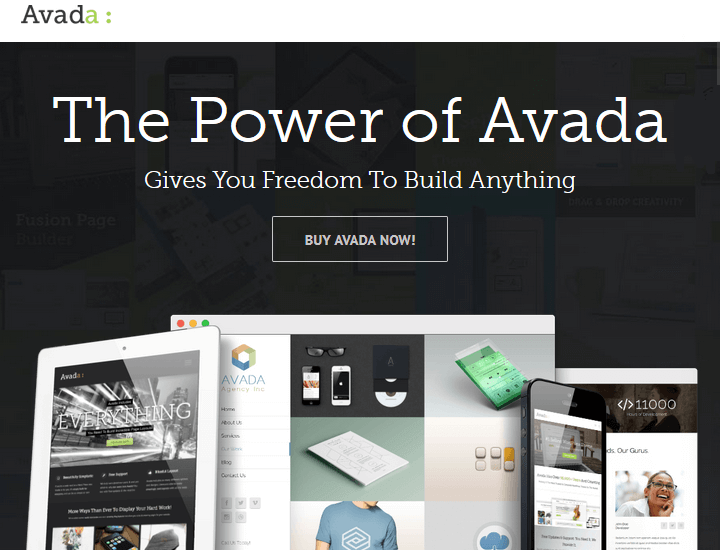 Avada is a fully responsive multipurpose theme suitable for hobby blogging or business. Though it comes with the ability to design anything you can think of, this theme is far from complex since the creators of this feature packed theme boast no coding skills are required. Customize with total freedom every element of your website with the advanced theme options panel – color schemes, sidebars, layout, typography, and more. Start selling products today using the fully supported WooCommerce plugin. Drag and drop your design setup using the intuitive Fusion Builder. Multiple headers, menu, page content, portfolio, and blog layout options. SEO optimized and made for speed, so your site visitors find you and stay. Tons of demos built into the price giving you a head start on your website’s creation. 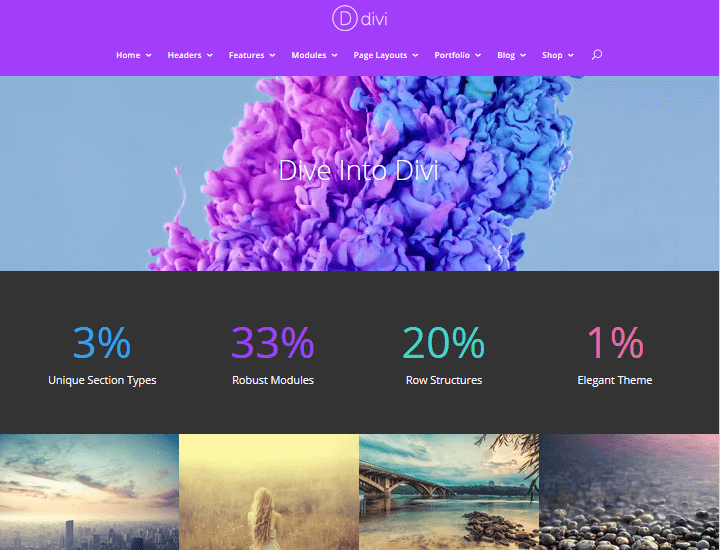 Powered by Elegant Themes’ intelligent page builder, Divi Builder, this drag and drop theme is great for those who like to piece together their website for the ultimate design creation. Complete with predefined layouts, image modules that can pair with animations, and versatile layouts, Divi will support any type of website. Choose your color palette, integrate social media accounts, even enable SEO optimization if you don’t have your own dedicated SEO plugin. Engage in split A/B testing using Divi Leads to compare portions of your website and see which part delivers the best results. Craft a blog, portfolio, eCommerce shop, a one-page website, or even a landing page; whatever your site requires. Enable the smooth parallax background or add a stunning video to catch the attention of your readers. Rest assured you are protected, thanks to Sucuri certification. Use any of the 300+ icons available, unlimited color options, and blurb capabilities to make your site stand out. Perfect for those looking to open up shop online, Storefront was designed by the very people who developed WooCommerce, so you know this theme is the real deal. 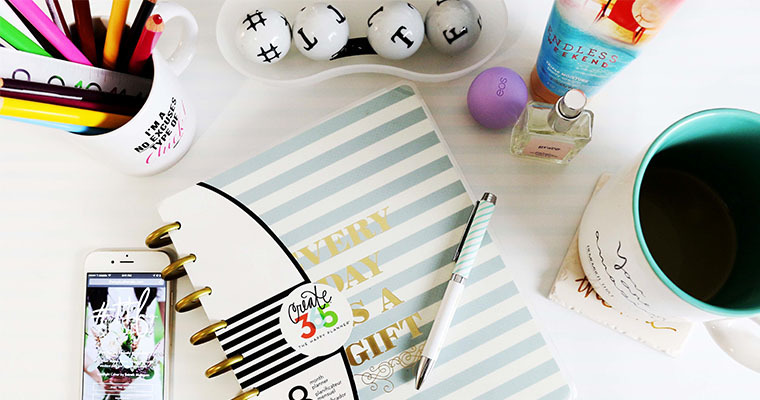 It has a lightweight feel, multiple widget areas, and several layout and color options for personalizing your shop. Don’t let its initial plain feel fool you; this is just the beginning. Compatible with all WooCommerce extensions StoreFront lays the foundation. It’s up to you to build the house. Regular WooCommerce updates with no glitches. Live Theme Customizer lets you build in real time and see the changes as they are made. No excess functionality such as page builders or shortcodes; Storefront lets you add the features you need and avoid the ones you don’t. Compatible with WooSlider plugin just in case your eCommerce shop wants a little pizazz. 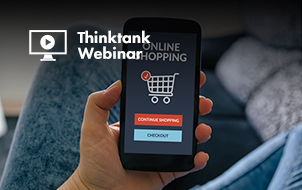 100% mobile friendly so customers on the go can still make purchases. Whether you are a designer, small business owner, non-profit organization, or entrepreneur, AccessPress Parallax PRO has your website needs covered. Built with simplicity in mind, but maintaining an elegant design, this multipurpose theme provides users with an easy to use theme panel for even easier customization. Choose from multiple header layouts, enable advanced post settings, and add Google Maps with pinning ability so people know exactly where you are located and how to get in touch with you. Services, team, portfolio, and testimonial layouts are available to view on this one-page website. Build a global presence using a compatible translation plugin. Increase visitor interaction using the advanced parallax scrolling feature or disable this and keep a normal website. Include bold images using the featured sliders that are super simple to configure. Pick from 13+ available widgets, 13+ shortcodes, and 10+ animation effects. For those with a news, newspaper, magazine, publishing, or review site, Newspaper is the solution for you. Supporting YouTube, a rating system for your readers to participate in, and Google Ads and AdSense, you will be well on your way to getting the breaking news delivered to your readers all while making money. 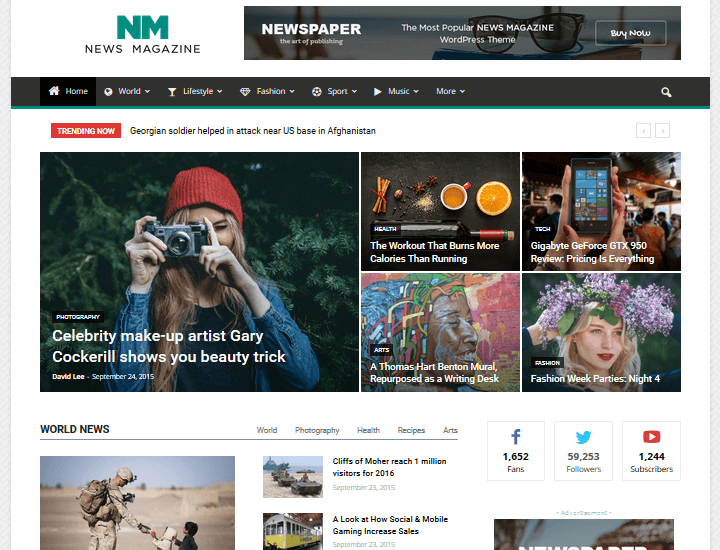 Newspaper has an intuitive interface leaving you free to customize your site as you see fit, requires no coding knowledge, is mobile friendly, and comes packed with premium widgets at no extra cost to you for making your website more attractive than ever. Big grid layouts so your readers are not overwhelmed but get every piece of info you want them to. Guide your readers to their desired content using the creative category pages. Maintain a high quality and fast performing website with the built-in lazy load effect. Get the Visual Composer page builder plugin for free with your theme purchase for drag and drop building. tagDiv’s slider gallery takes photo sliders to the next level by displaying a description and copyright information. 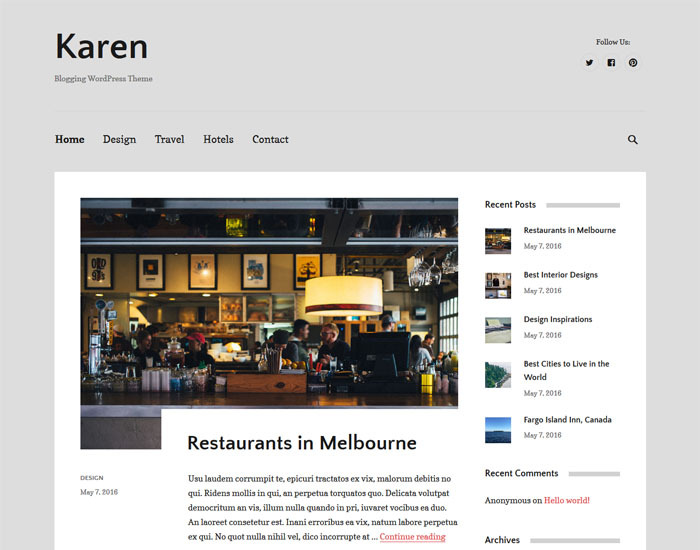 Easy to navigate and full of whitespace, Karen is a simple theme for those who just want to write. Designed with bloggers in mind, Karen also offers a large featured image slider to add that pop of visual appeal to your website’s homepage. Use the Theme Customizer to customize every element and see it live as you click away. Responsive design will make your site look good on every device, big or small. Lightweight and running fast, Karen will not let your readers down when it comes to site performance. Take advantage of the unique footer area complete with a background image, navigation sections, and CTA area. Keep your content front and center with the minimal layout design. 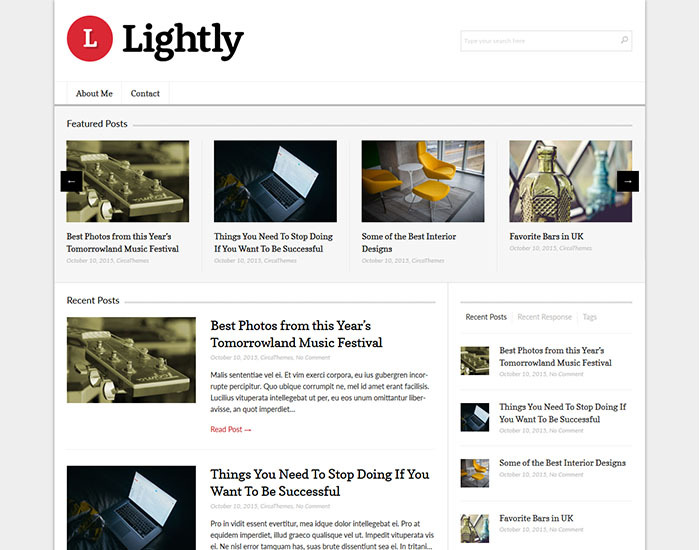 Organize your content masonry style for an organized look and feel. 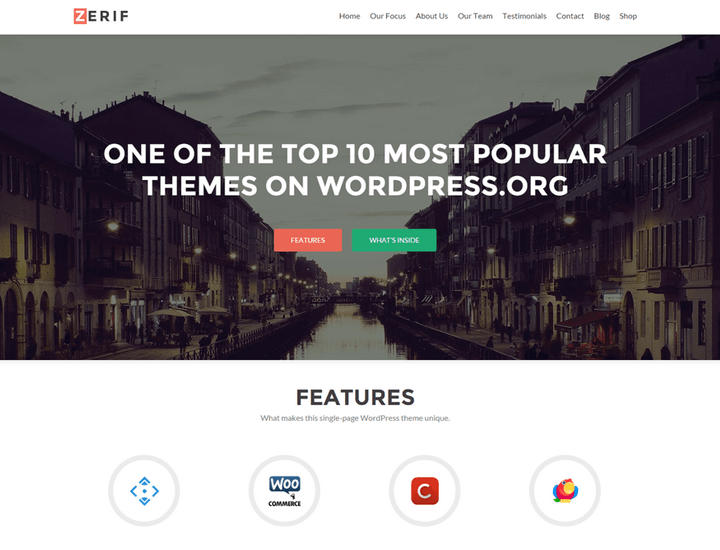 This free one page WordPress theme is brought to you as a result of the popular premium theme Zerif. Great for web agencies, corporate businesses, and even personal portfolios, Zerif Lite is built on BootStrap with parallax support. Offering readers an impressive full-screen image upon clicking on your website, you are sure to grab some attention and spark some interest. WooCommerce-compatible for those seeking to sell products or services. Showcase your team, clients, testimonials, recent posts, and more using custom content blocks. From top to bottom this theme is responsive and mobile friendly. Create an extensive footer area complete with social media icons, contact information, copyright info, and more. Add a clean and modern contact form near the bottom of your page for connecting with customers both old and new. 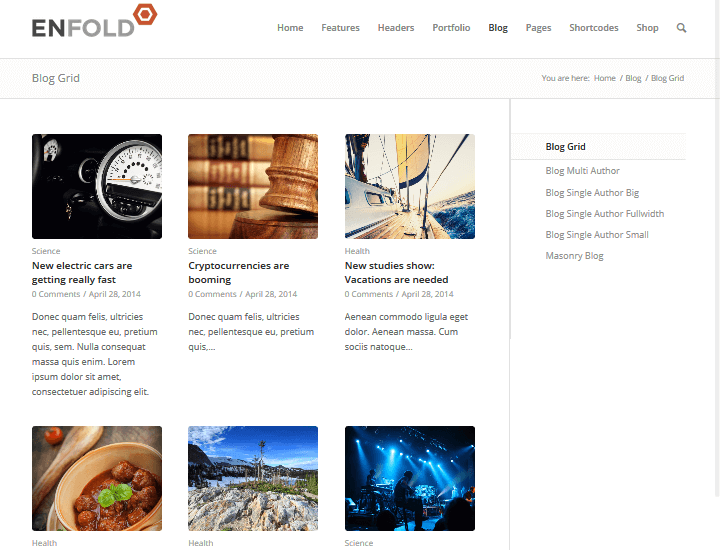 Suitable for most website types, Enfold has a clean and simple look and claims to be the most user-friendly theme on the market today. 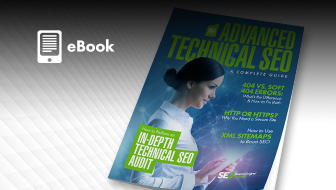 Readers will enjoy sticky navigation, structured layouts, Ajax Instant Search, and sprinkles of imagery. A unique content editor is used to customize columns, sliders, buttons, galleries, tabs, toggles, data tables, and so much more. There are also dozens of demos provided for kick starting your website into its perfect design. 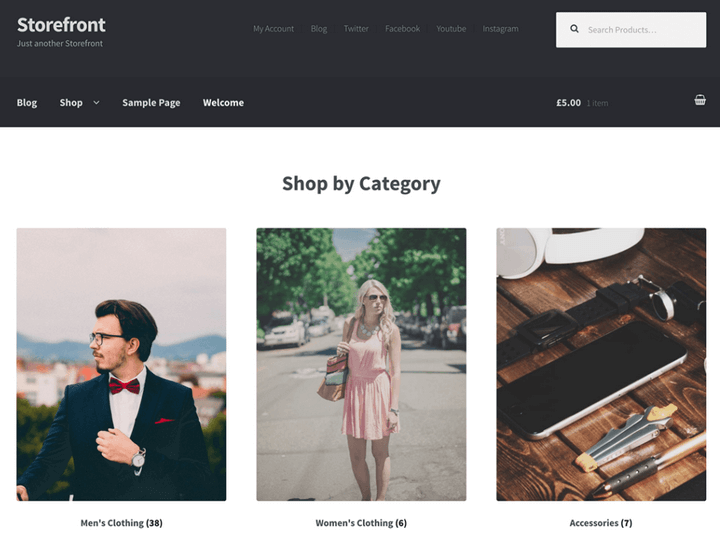 This theme is WooCommerce ready so you can sell physical and digital items any time. Translate your site using the popular WPML plugin so you can reach readers or customers worldwide. Exclusive drag & drop template builder for creating any layout imaginable. Amazing slideshow options to choose from – 2D, 3D, layered ,full screen, and even parallax. Multiple sidebar options using the sidebar manager and a shortcode editor for quick and easy setup. 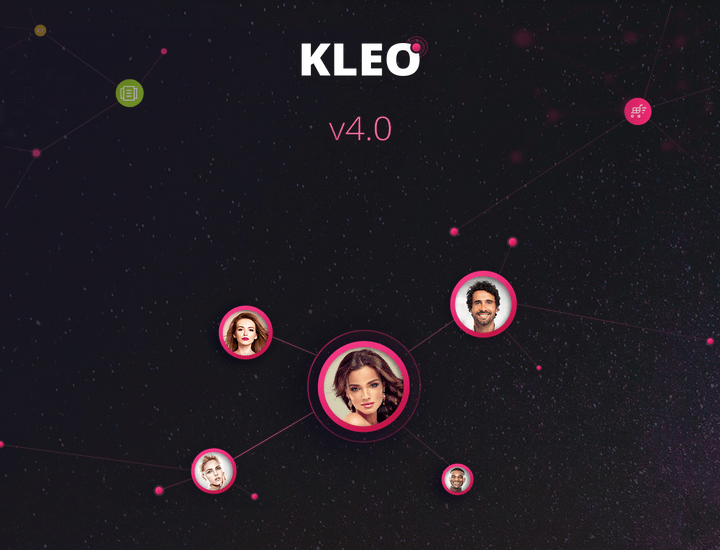 A unique theme ready for anything, Kleo has demo options for companies, foodie blogs, community websites, member profiles, landing pages, eCommerce shops, portfolios, educational sites, and a whole lot more. 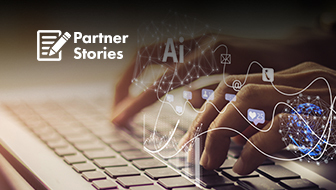 Enjoy up to five columns, full-width header, WhatsApp and LinkedIn sharing, and even log in and register shortcode forms. Add unlimited sidebars, customize your color scheme, and change fonts using the Live Theme Customizer that provides a faster preview than ever before. Unique BuddyPress design for making friends, sharing ideas, getting notified, selling online, and more. Back end and front end drag and drop builder with a simple user interface makes customizing your site a cinch. Pre-packaged with the Sensei plugin for creating eCourses, writing lessons, and adding quizzes. Facebook login integration with site visitor’s profile image as an avatar. Awesome Material Design option with predefined color palettes to get you started with your flat designs. Another minimal blogging theme meant to let your content shine, Lightly does not disappoint for those seeking simple, clean, and modern design. Compatible with popular plugins such as Yoast SEO, Gravity Forms, and W3 Total Cache, your website will be full functioning without all of the excess bloat some multipurpose themes provide users. Use the intuitive Customizer with live preview as you tailor you website to match your personality. 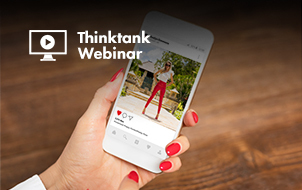 Images, videos, and text will scale appropriately to all visitors regardless of what device they access your site on. Use the theme’s built in widgets and customize them using the drag & drop feature. Create a homepage slider that is sure to impress site visitors. Translate into any language imaginable using the .po and .mo files. 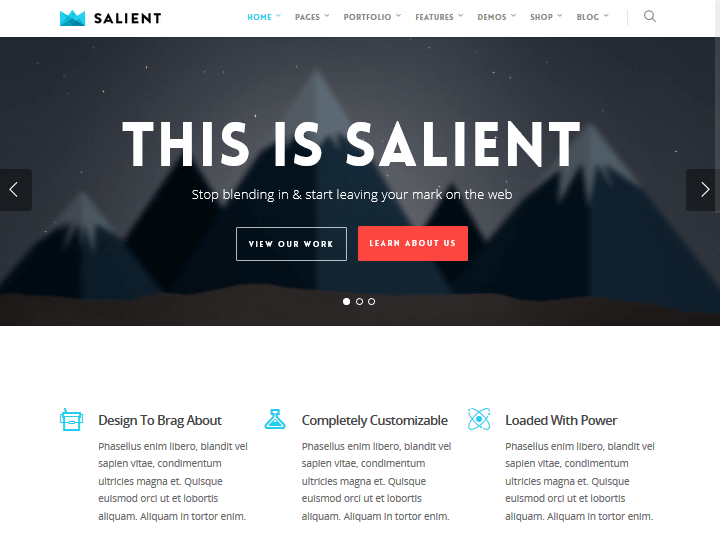 Designed as a fully customizable theme for creatives, Salient provides users with an impressive icon collection, unlimited color options, advanced typography, and an easy to use theme panel. In addition to being for creatives, Salient can turn into an eCommerce shop for making sales, a portfolio for displaying your best work, a blog for sharing ideas, and even a one-page website for a quick display of what you have to offer visitors. The Salient Visual Composer takes page building up a notch while maintaining ease of use. One click demo installs for all of your website needs. Narrated video tutorials are available to help you along the design process. Two custom widgets, Recent Projects and Recent Posts Extra, are included for extra functionality. The theme comes child theme-ready so you never wreck your website and lose all of your hard work. The 12 best WordPress themes across a variety of categories. Whether you are seeking a free WordPress theme or are opting for a more robust premium one, this list is bound to have something that will work for you. This just goes to show picking a WordPress theme doesn’t have to be overwhelming if you simply take the advice of the experts – those buying these popular themes and using them in real life! Have you used any of the above-mentioned themes for your website? Are you considering trying one that was new to you until today? I would love to hear all about it in the comments below. All screenshots by Dev Sharma. Taken May 2016.